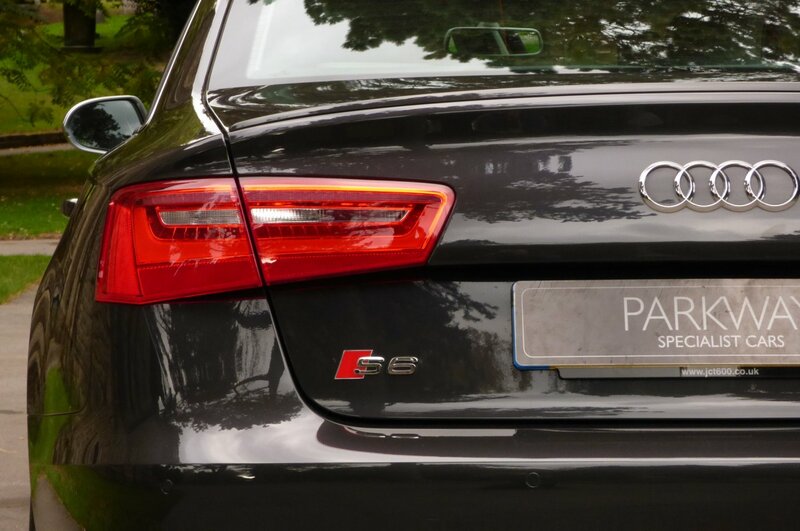 Ever Since 1983, The German Production Plant At Neckarsulm, Have Been Offering Us Both The S & RS Brand As Part Of Their Company Line Up, With These Powerful Badges To Signify High End Performance, But Still With Those Desired Luxurious Refinements Required For Every Day Motoring. 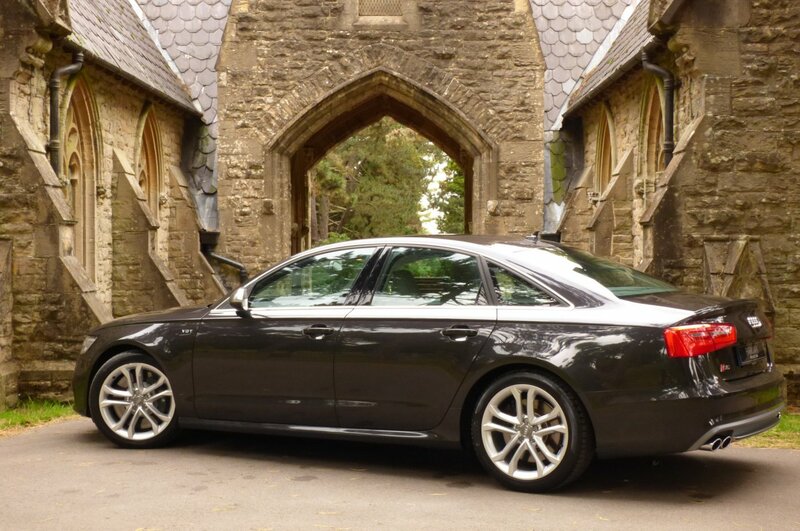 The Audi A6 Model Was To Be No Different In The Company's Thoughts And Aspirations, When Back In 1994 The First Incarnation Of The Audi S6 Was Formerly Introduced With The C4 Version, With These Larger Saloon Vehicles To Offer That Perfect Blend Of Driving Exhilaration With Ample Cabin Room, Achieving A Comfortable Environment To Eat Up Those Long Distance Miles. 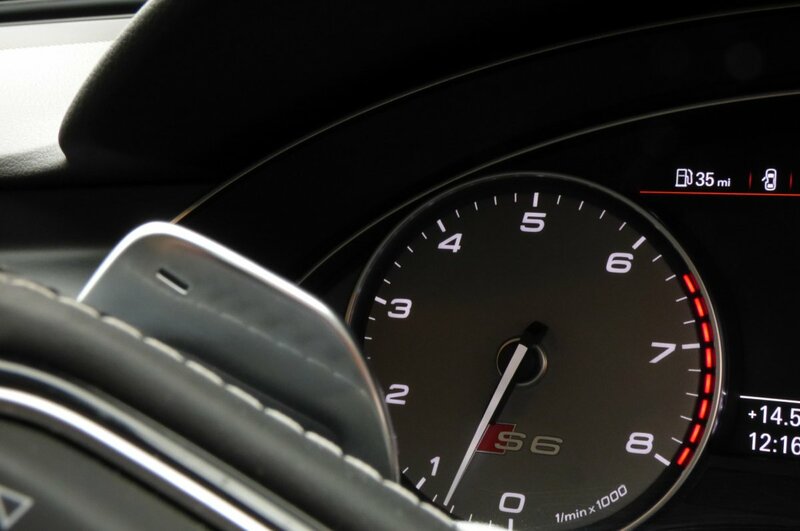 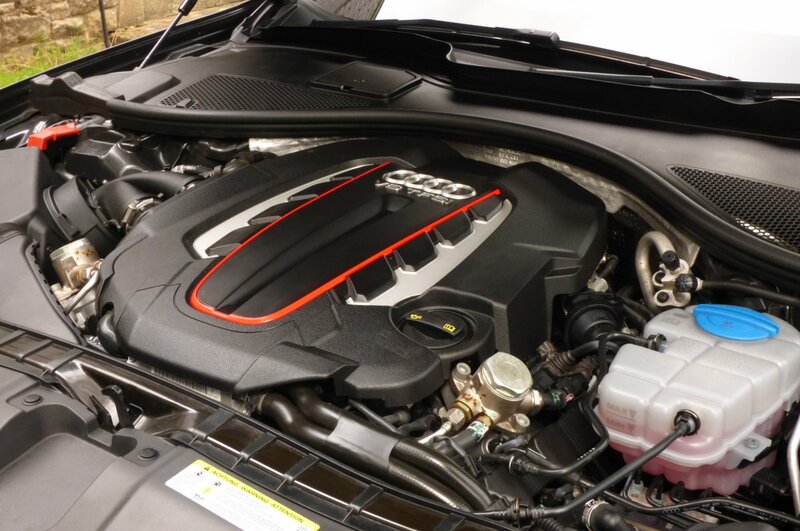 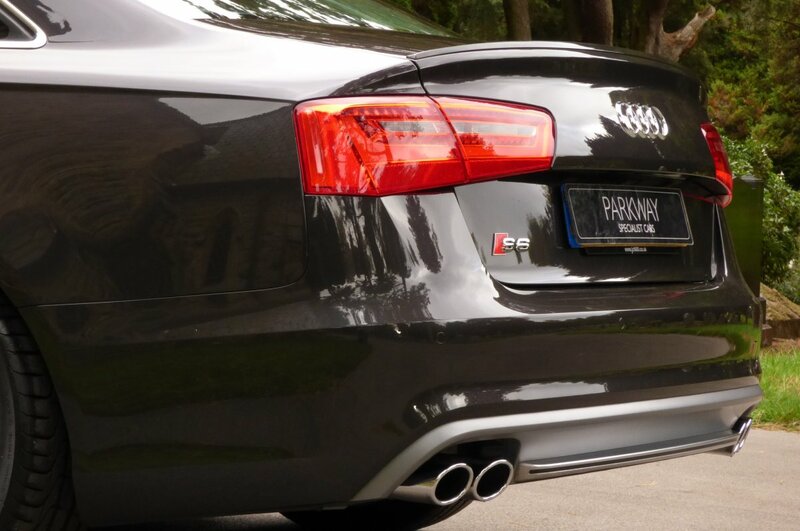 In 2006, Audi Decided To Fit Their New C6 Version Of The S6 With The Five Point Two Litre V10 Engine, Which Had Been Acquired From Their Sister Company Lamborghini, Which At First Was Viewed As Being Something Of A Milestone For Those Audi Buyers, Being Able To Have That German Build Quality, With A Epic Engine From The Italians, However This Love Affair Was Short Lived With The Combination Of High Running Costs And These Cars Being A Whole Second Slower From 0-60 MPH, Than The BMW M5 & Mercedes Benz E63. 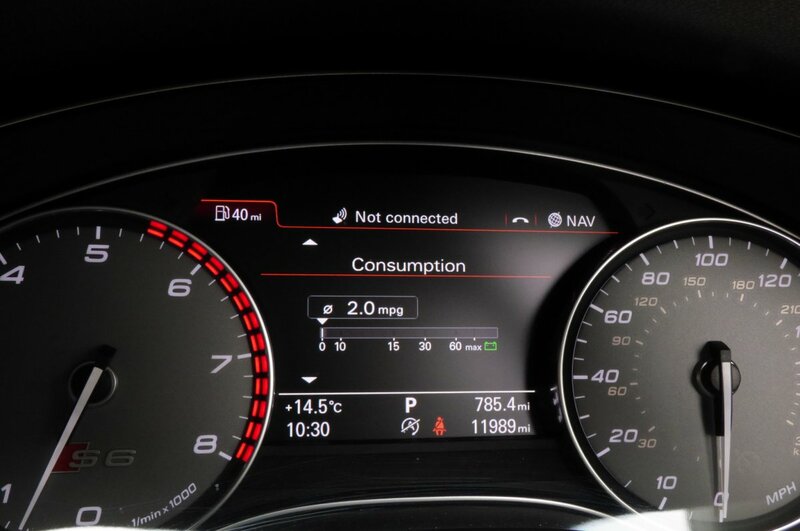 This Was To All Change In 2012, When Audi Formerly Introduced Their All New C7 Audi S6, With The Company To Still Offer Their Thrill Seeking Drivers With A Powerful Representation Of Their Audi A6 Model, But Now Would See A Vast Improvement Of Fuel Efficiency By Nearly 25% And This Was All Due To These Newer Cars Being Fitted With A Revised Four Litre Engine, That Had Been Offered In The Bentley Continental GT. 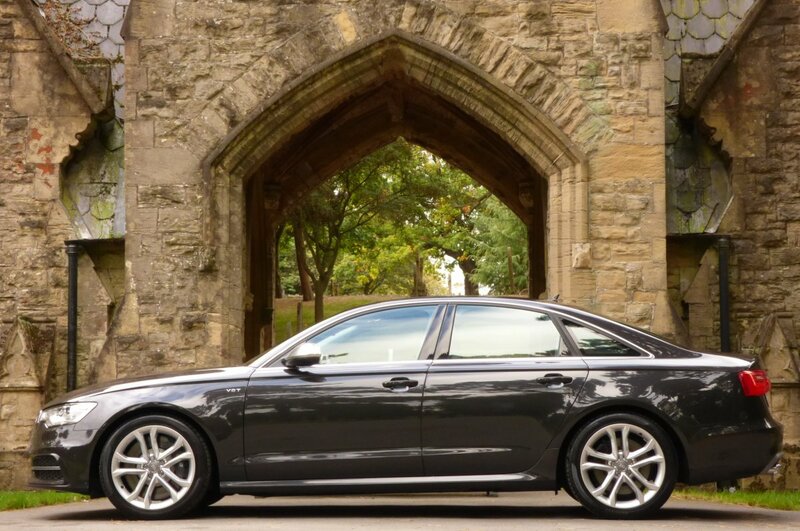 With No Less Than 414 Brake Horse Power And 406 lb ft Of Torque, These High End Cars Could Easily Accelerate Both Driver And Four Passengers From 0-62MPH In Just 4.6 Seconds, Would Further Glide To An Electrically Limited Top Speed Of 155 MPH, Gave A More Usable Fuel Return Of 29.4 MPG And Still Would Be Perfectly Controlled On Any Given Road Surface, With The World Renowned Audi Quattro Four Wheel Drive System. 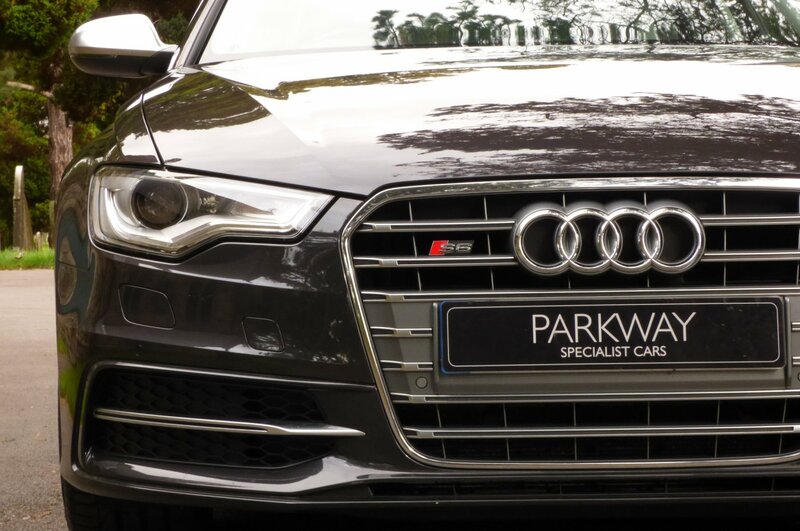 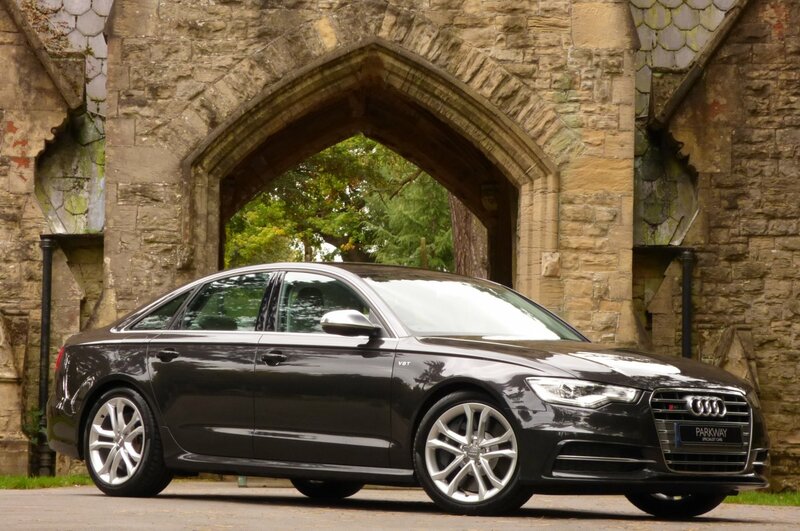 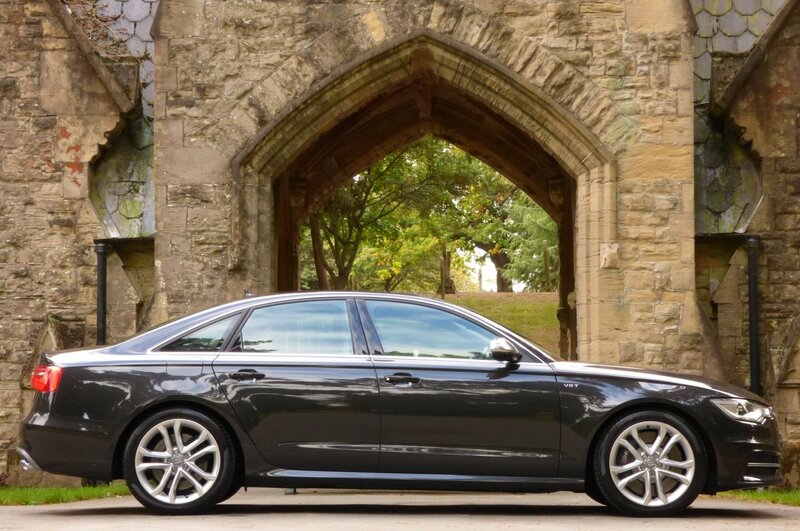 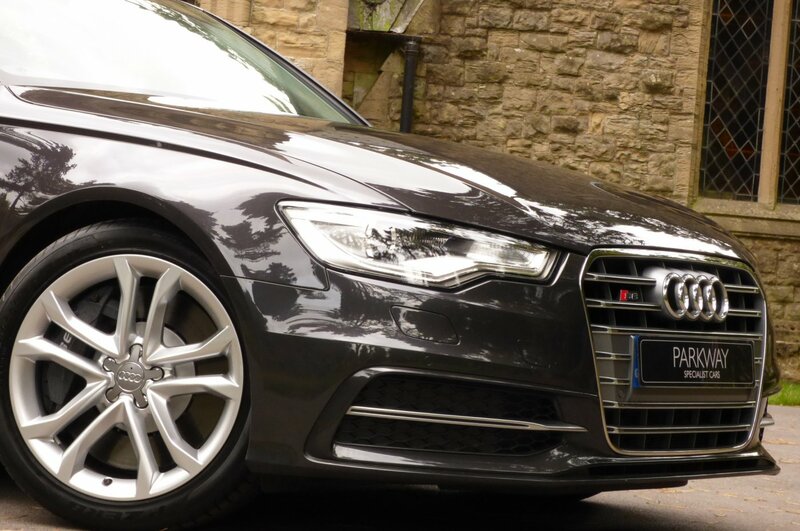 As A Conclusion, The Audi S6 Is An Impressive All Purpose Large Executive Car That Doesn’t Look To Different To A Regular S-Line A6 And We Believe The This Just Adds To Its Understated Appeal, To Drivers That Perhaps Want To Go Under The Radar. 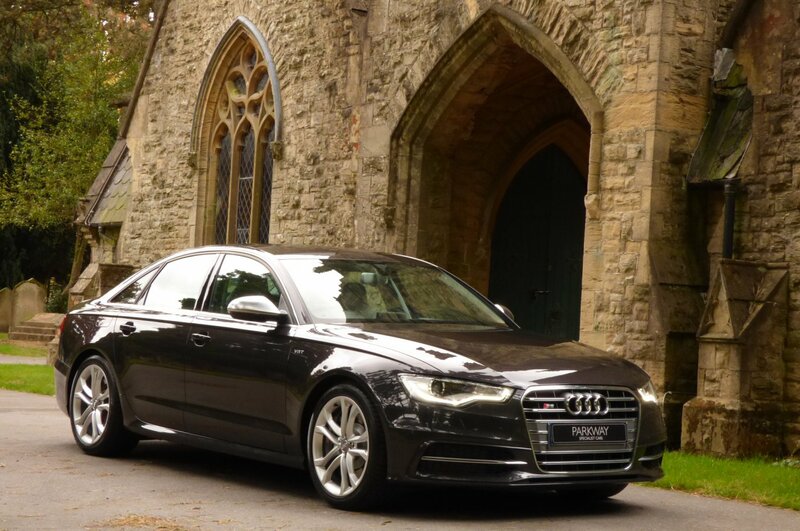 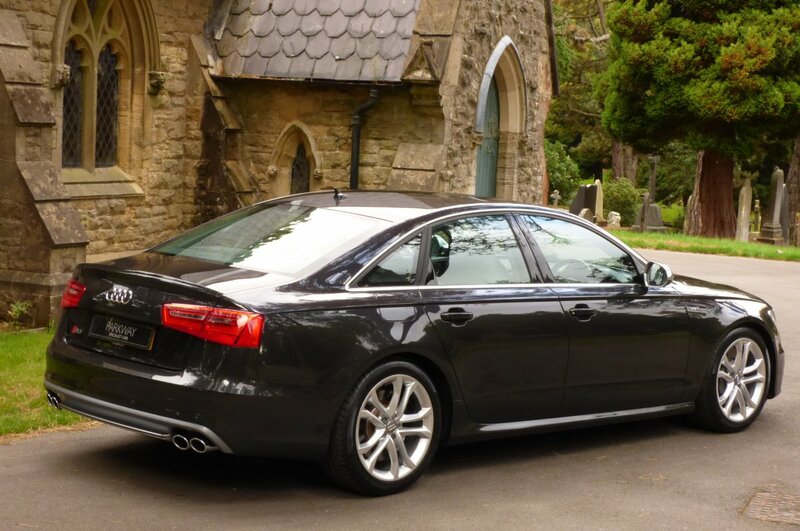 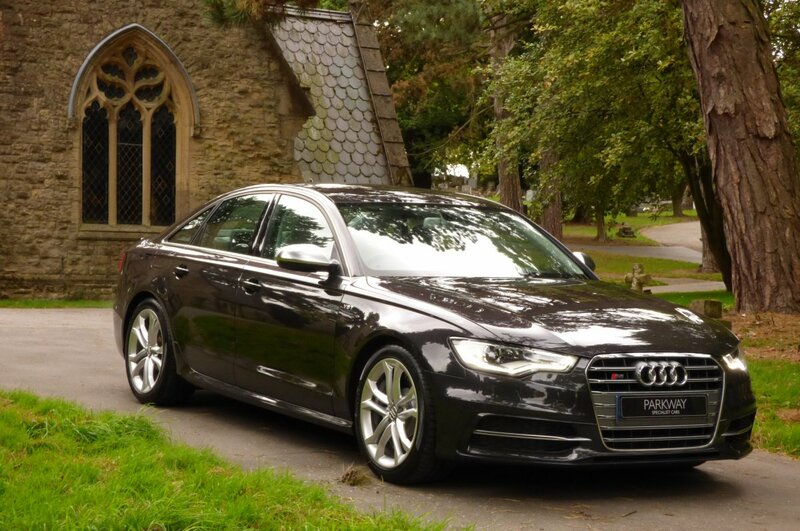 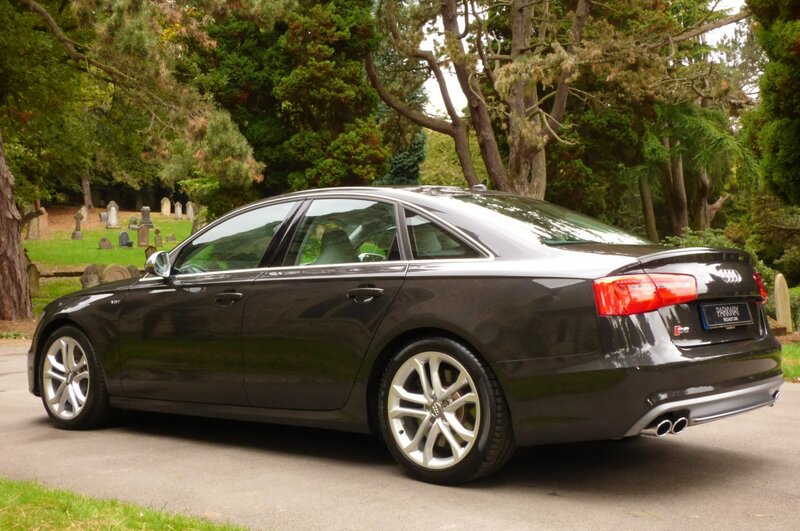 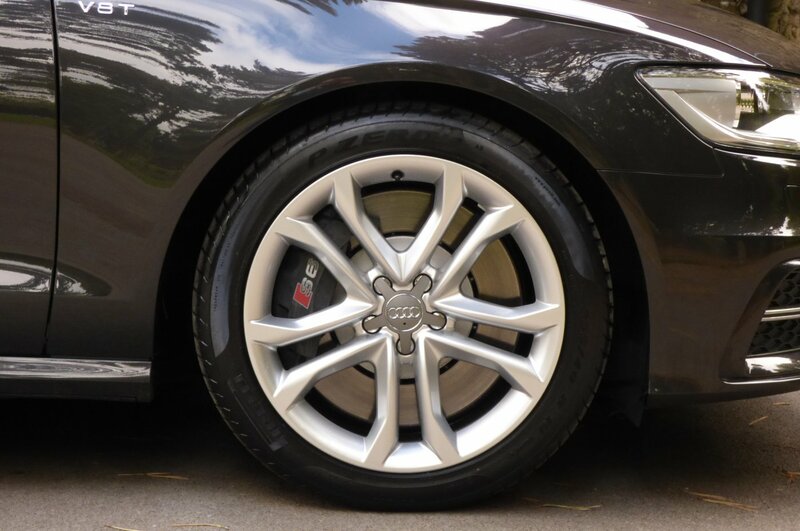 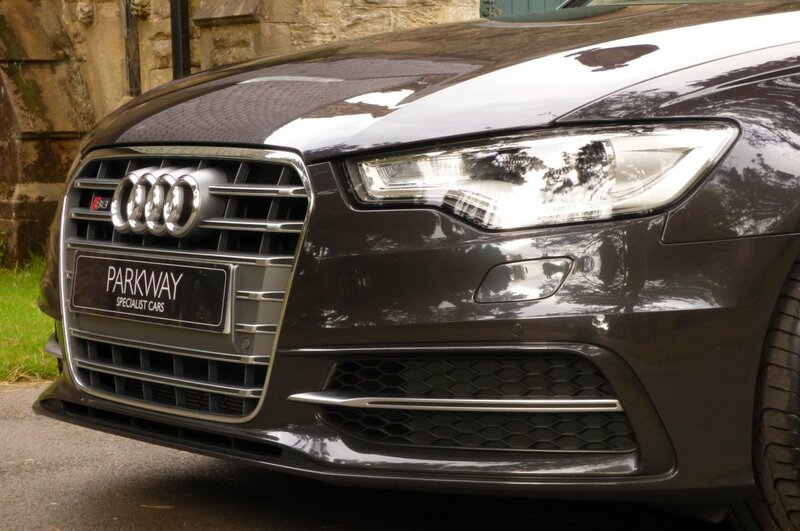 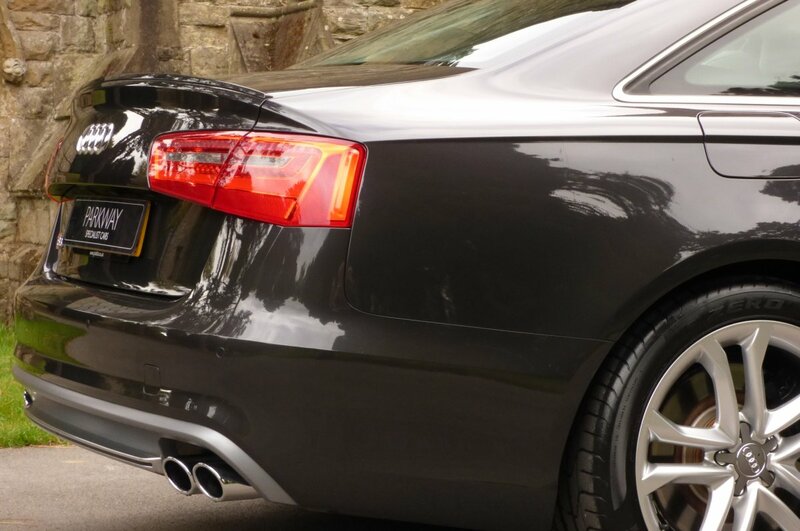 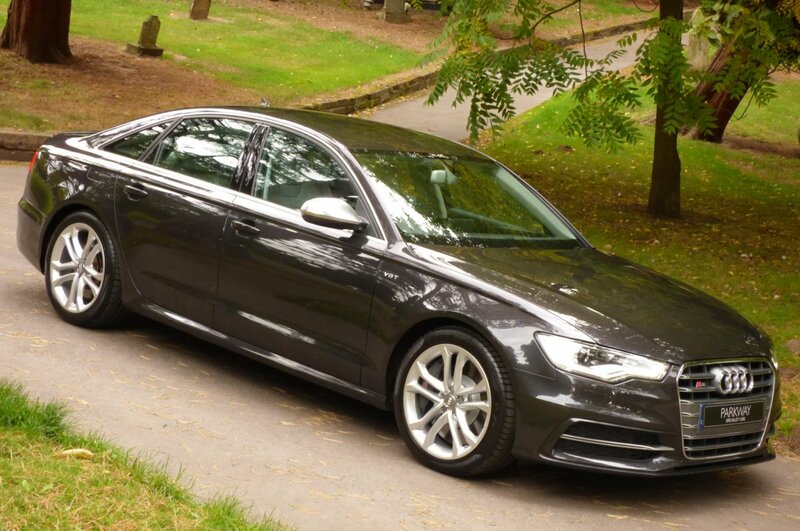 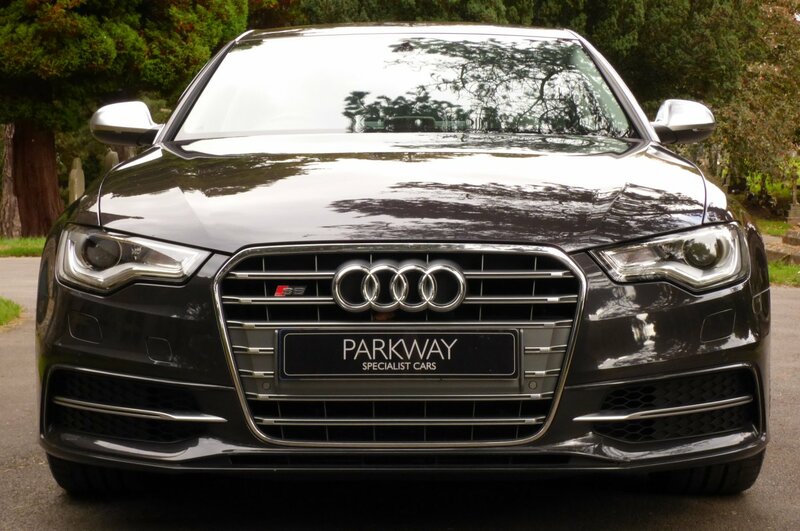 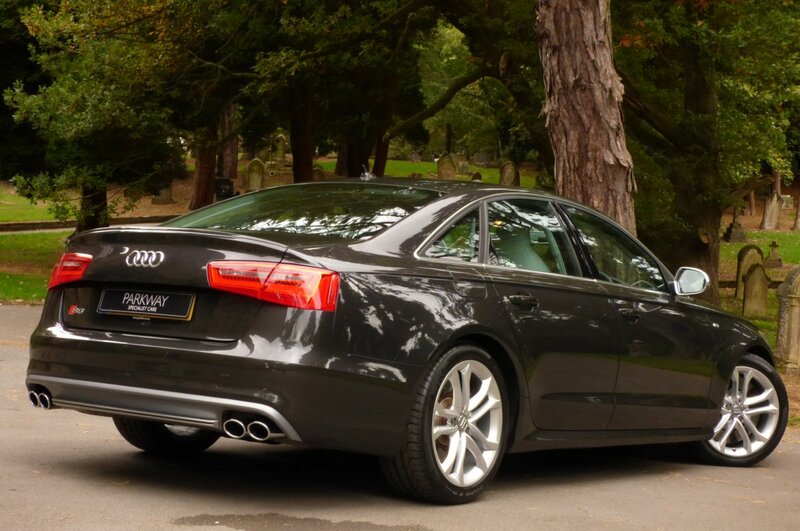 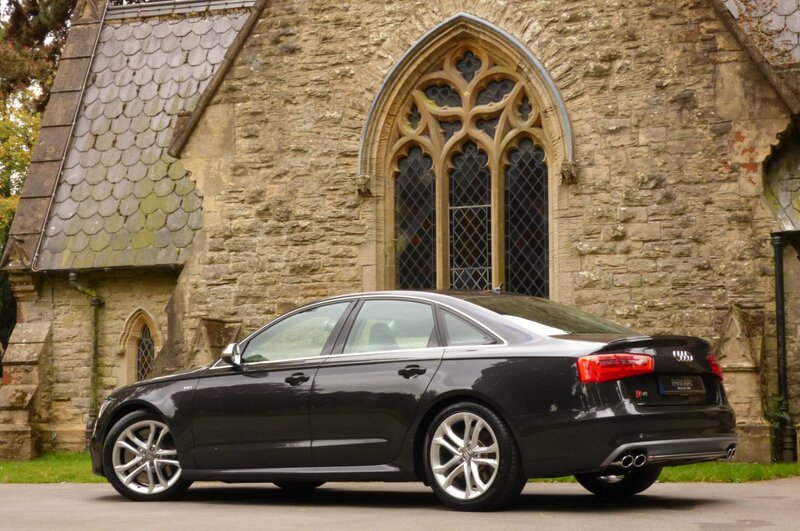 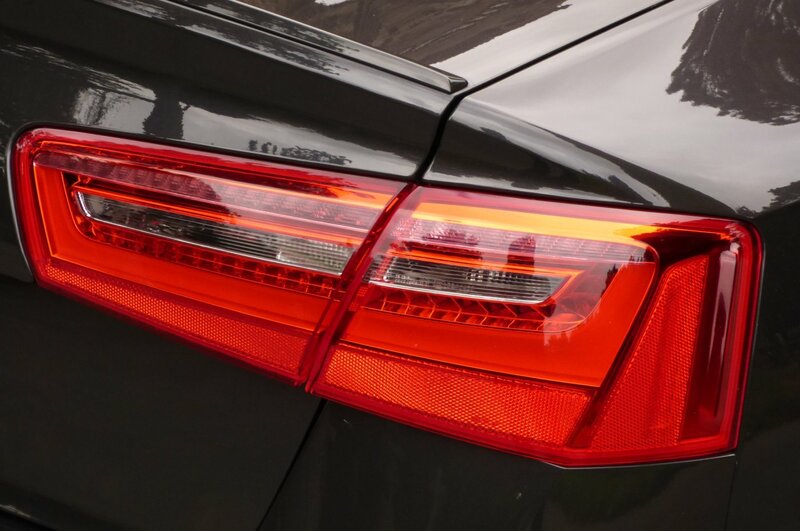 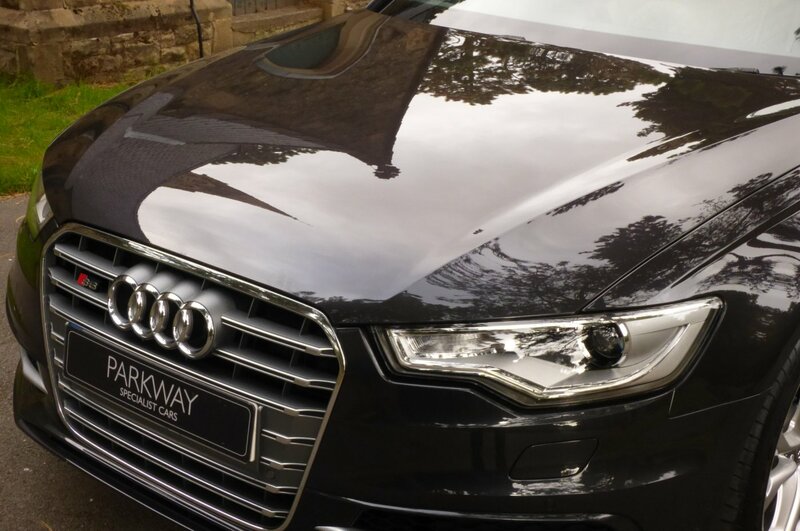 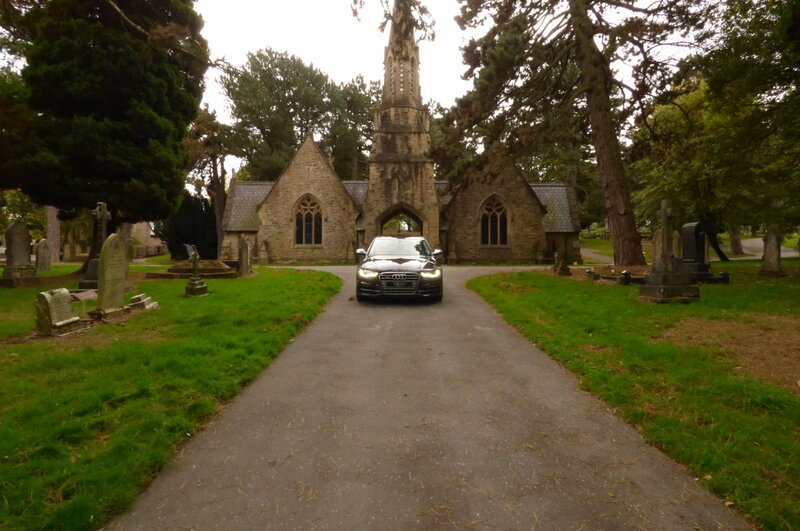 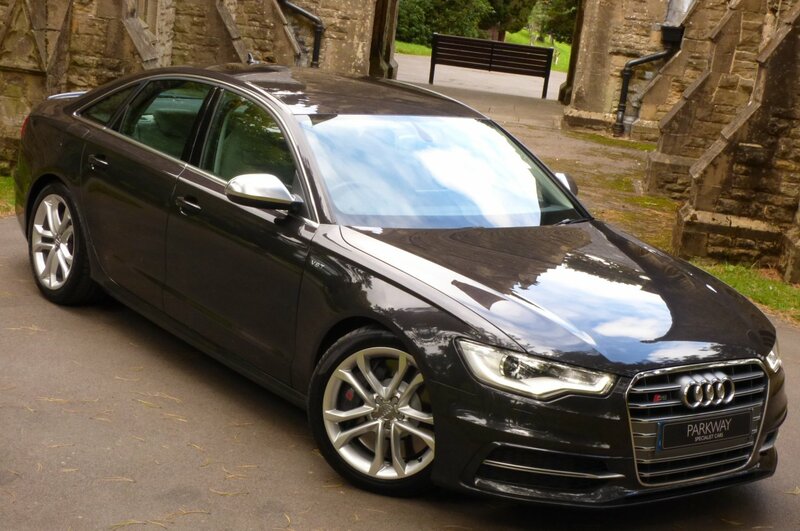 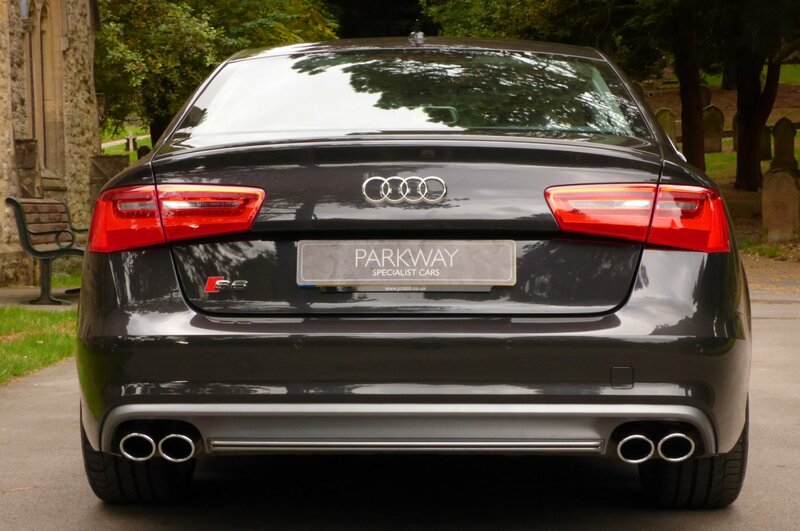 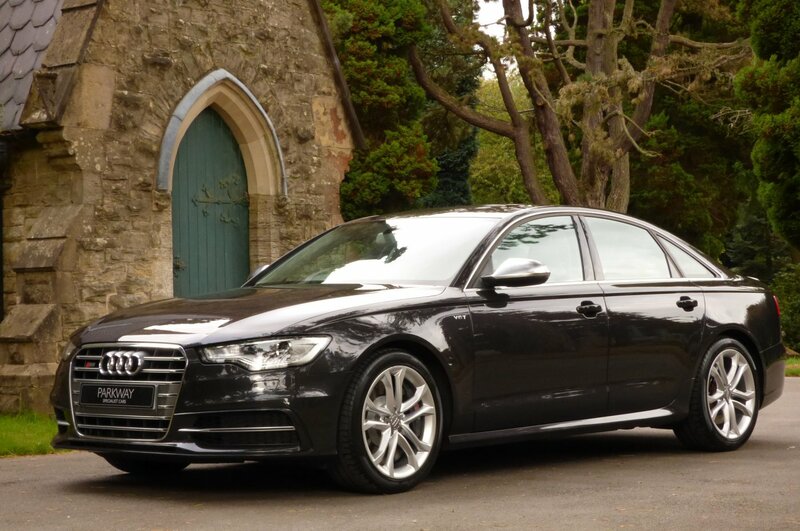 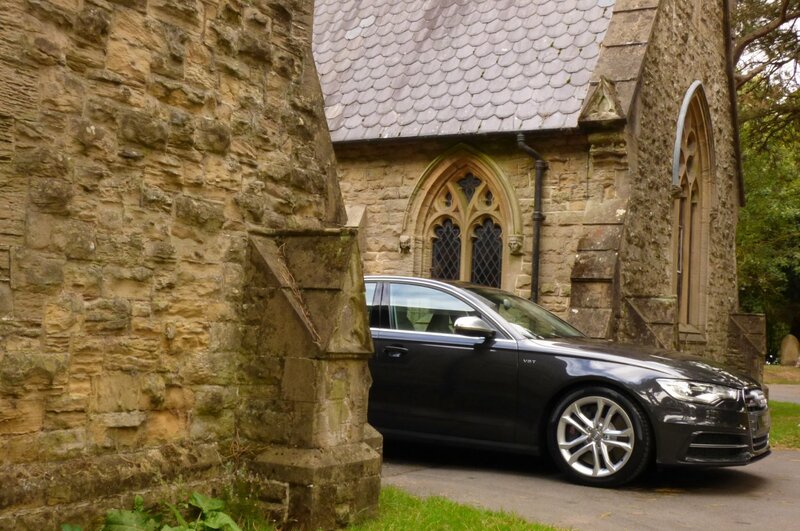 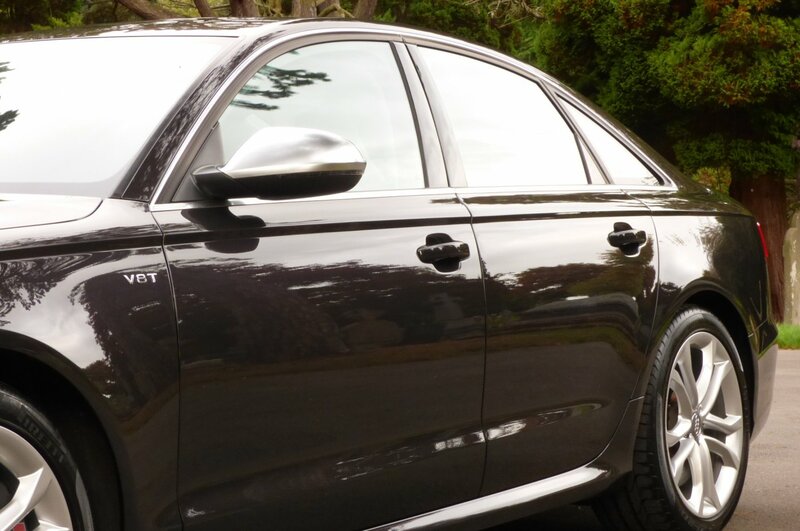 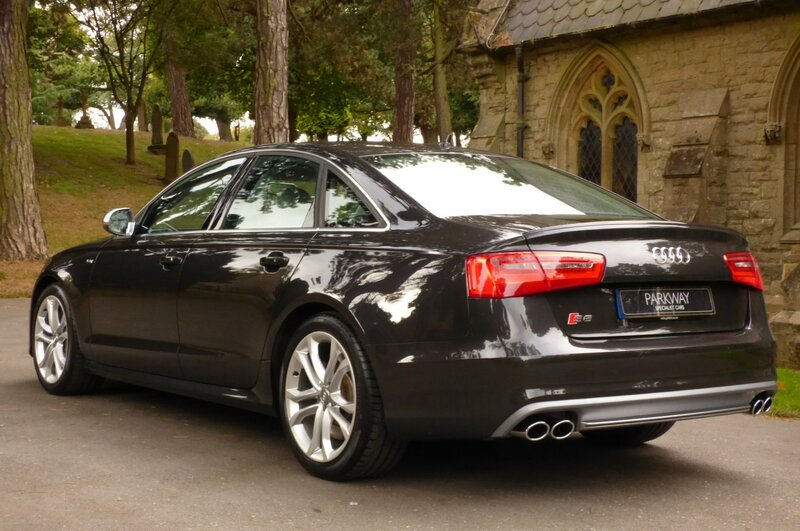 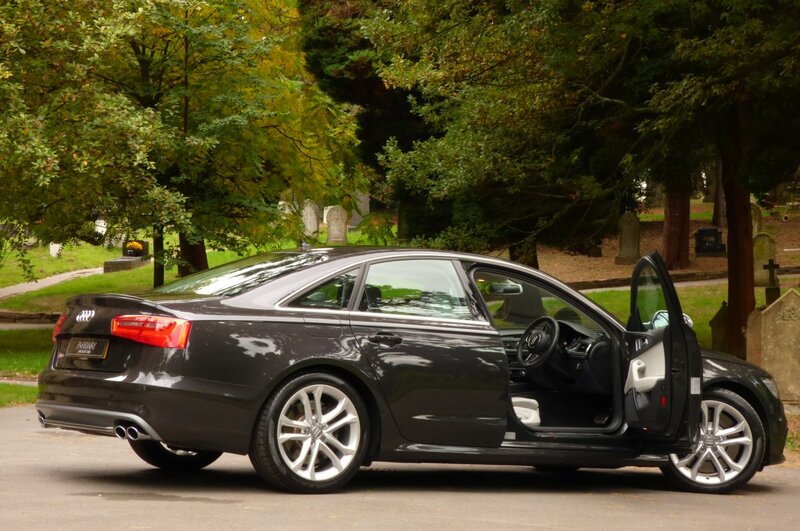 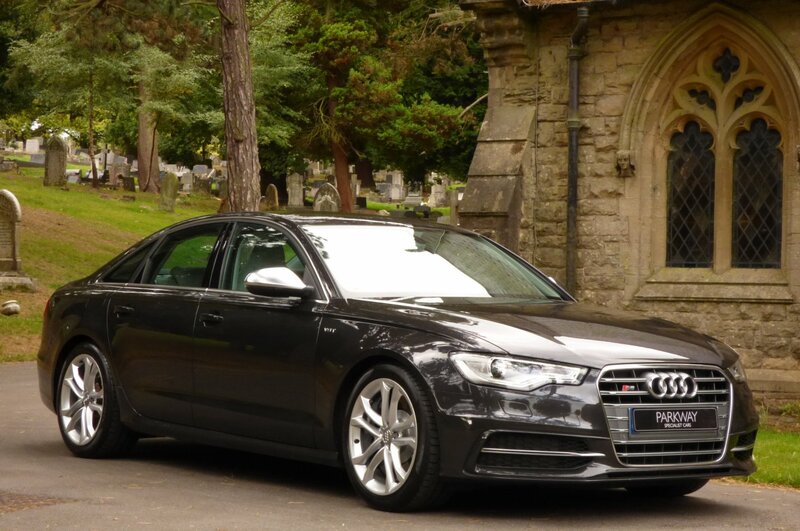 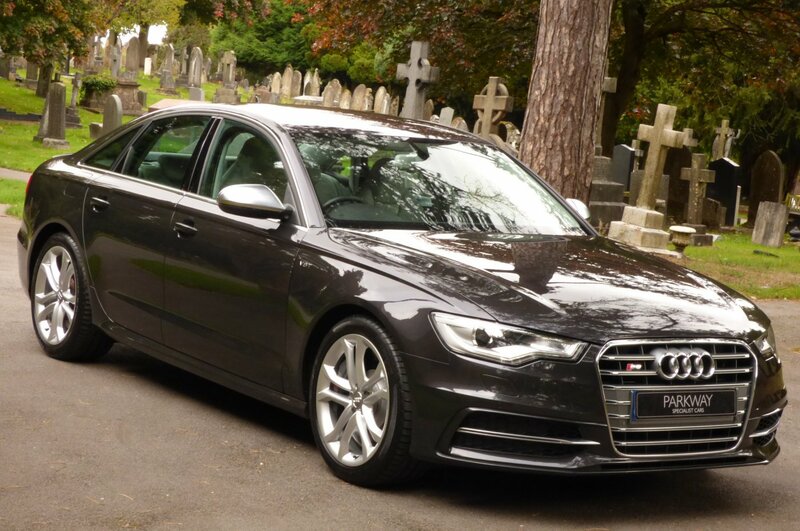 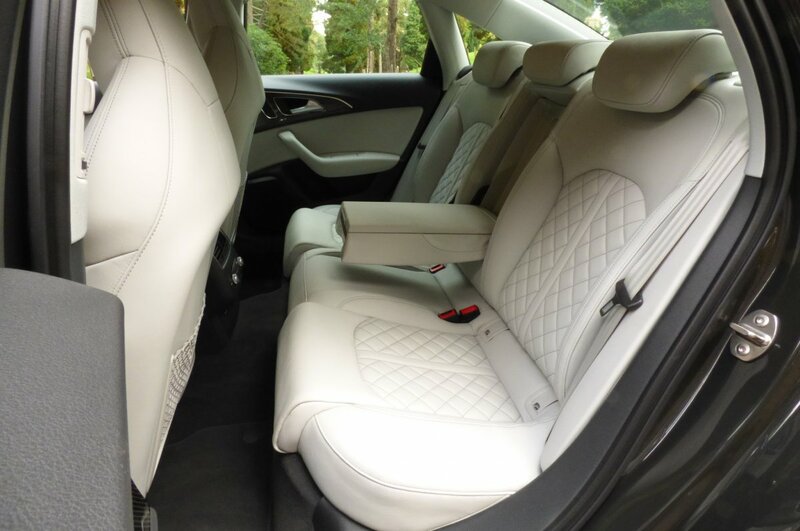 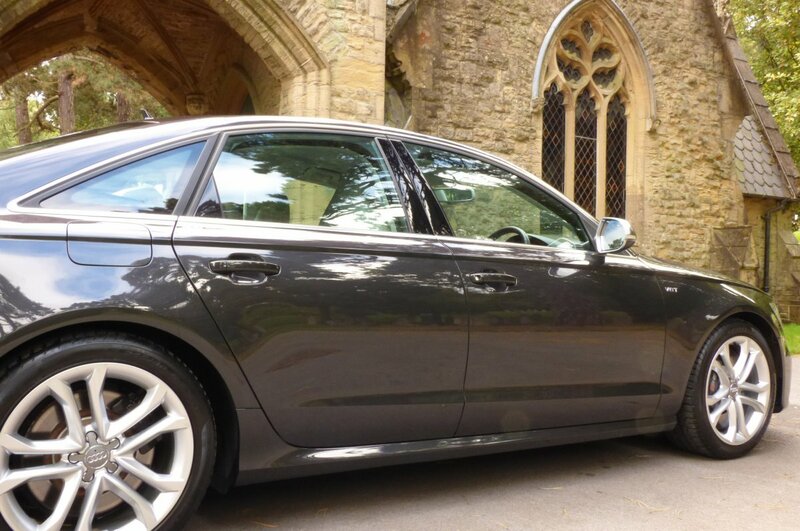 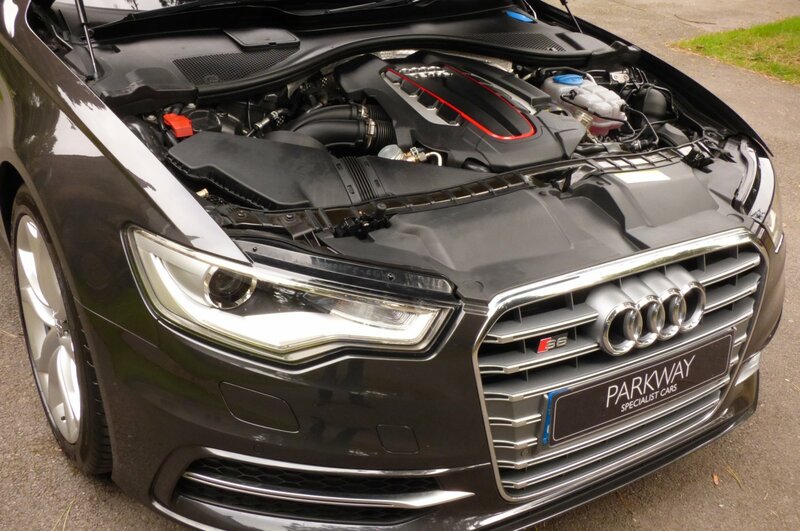 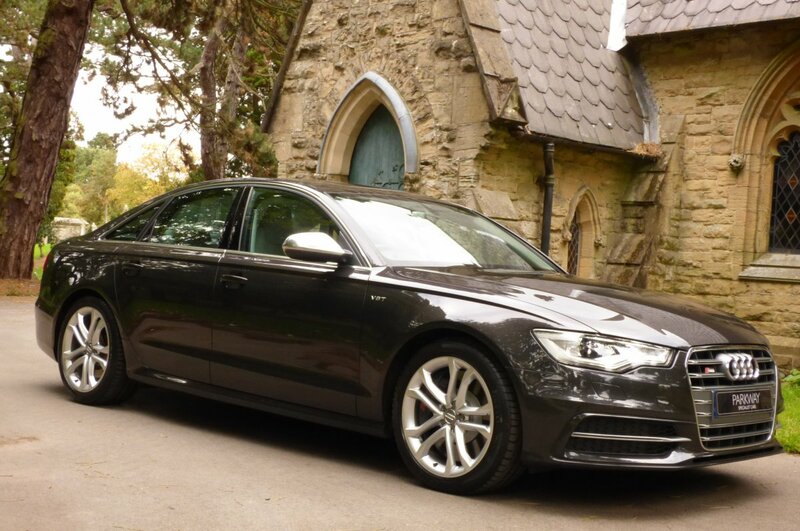 This Attractive Audi S6 Was First Supplied Sheffield Audi In The September Of 2013 And Since This Date Of First Registration The Vehicle Has Had Just The One Private Keeper From New. 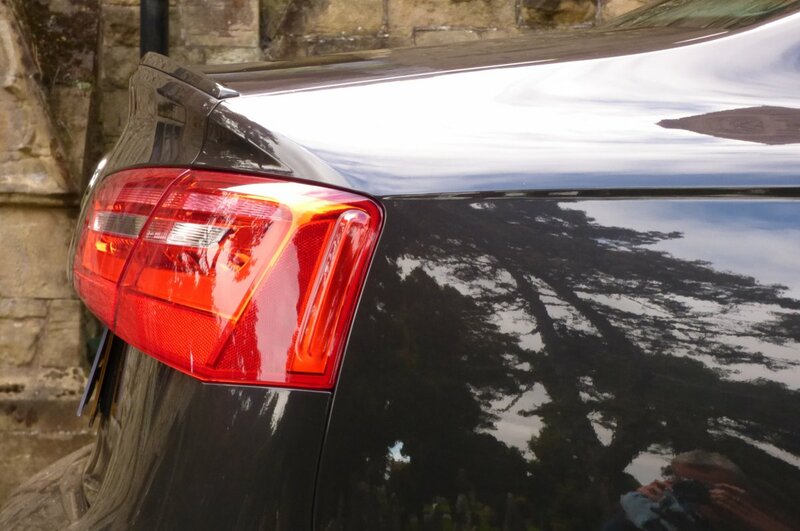 Over The Last Five Years Chassis Number EN039806 Has Only Been Used Very Sparingly With Just 11988 Miles Applied, To Which If We Break This Down Further Is Approximately Just 2400 Miles Annum, However Regardless Of This Current Sensational Mileage Reading The Car Has Already Had Its First Service Completed By Sheffield Audi In The September Of 2015 At 6288 Miles And Once Sold Will Have Another Full Service Completed By Our In House Dedicated Workshops, Prior To That Next Second Keeper Taking Charge. 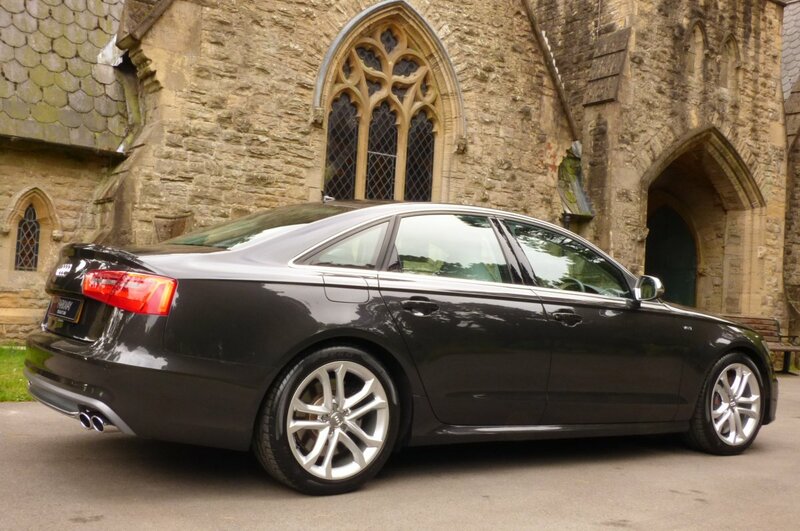 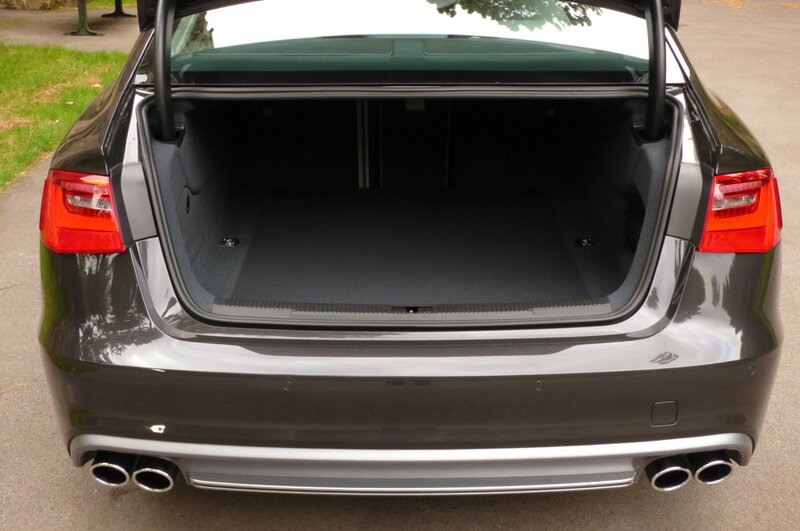 Also Once Sold This Audi S6 Will Be Presented Correctly With The Entire Booklet Pack Set, A Fully Cleared Hpi Certificate And A Fully Functional Key Set, Which Is All In Place For That Next Lucky Custodian To Keep And Cherish During Their Own Time Of Ownership. 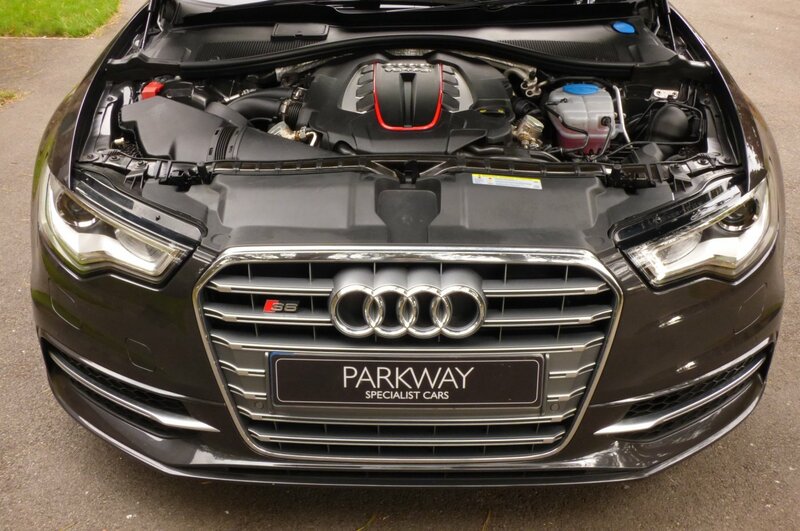 In Making This Dream A Reality, We Also Work Very Closely With Highly Competitive Finance Agents, Making Sure That We Can Offer The Very Best Rates Of Interest, If Funding Is Required, So For Your Personal Quotation, Then Please Contact A Member Of Our Sales Team Today To Discuss Your Know Requirements. 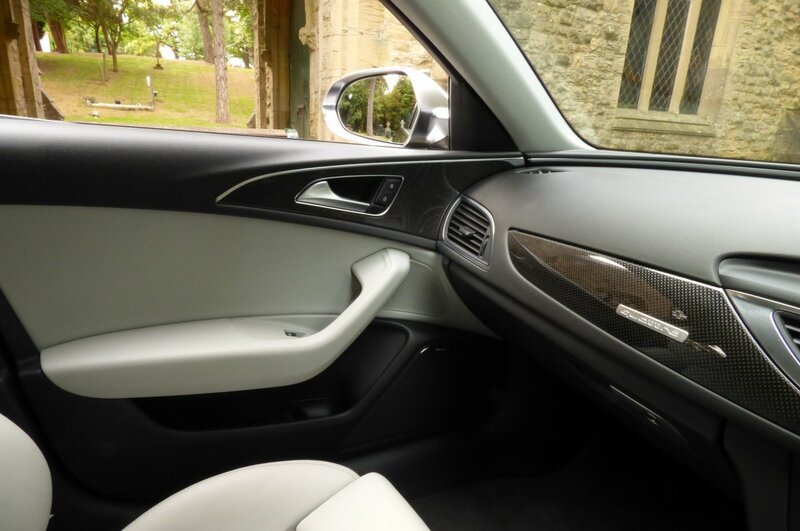 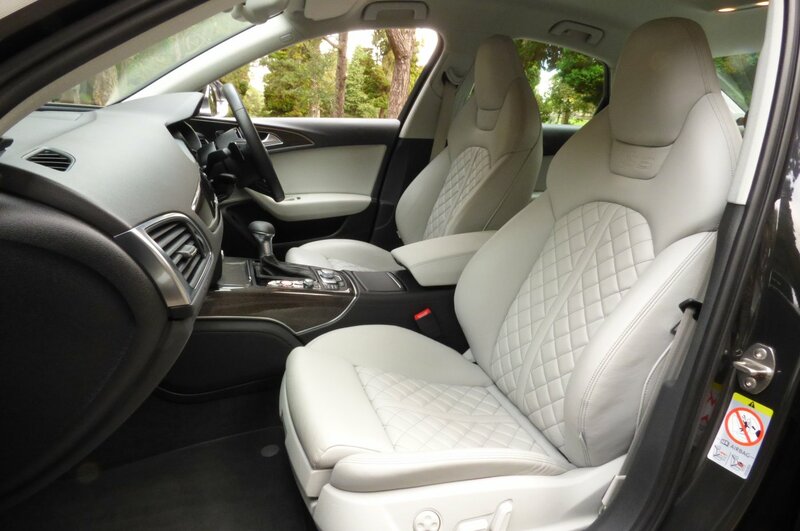 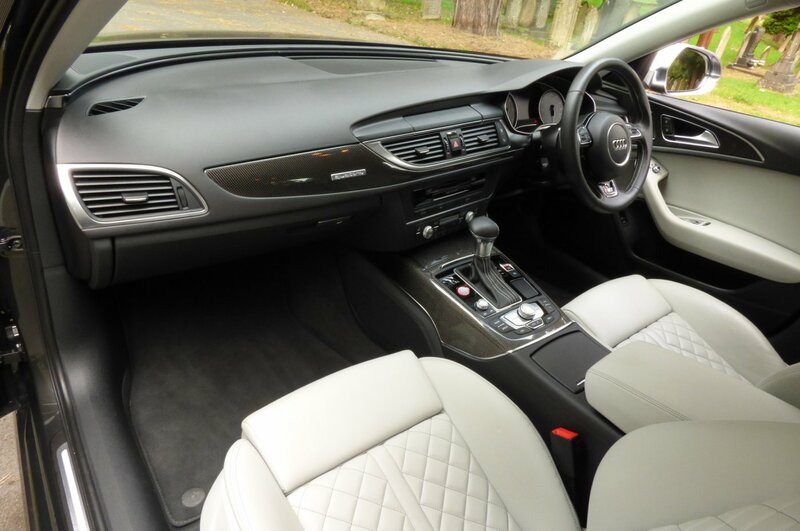 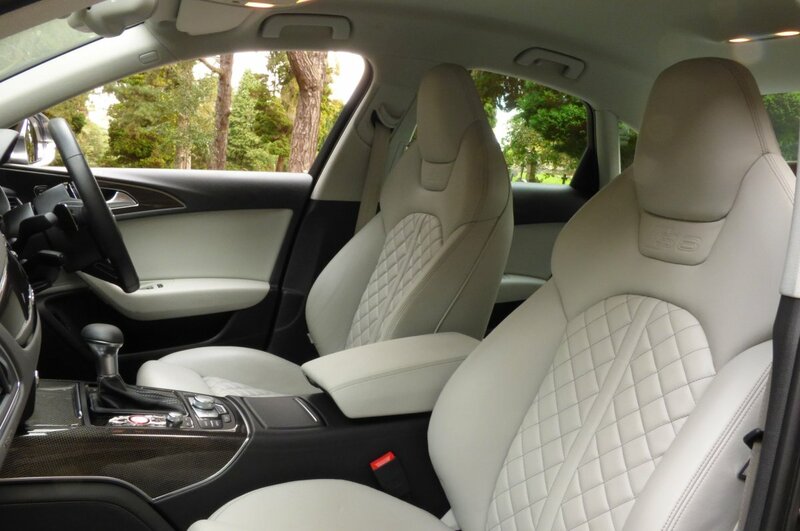 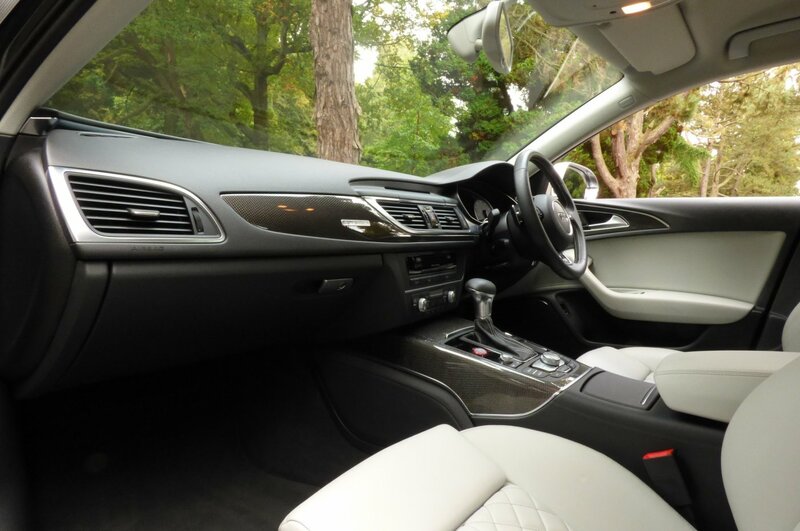 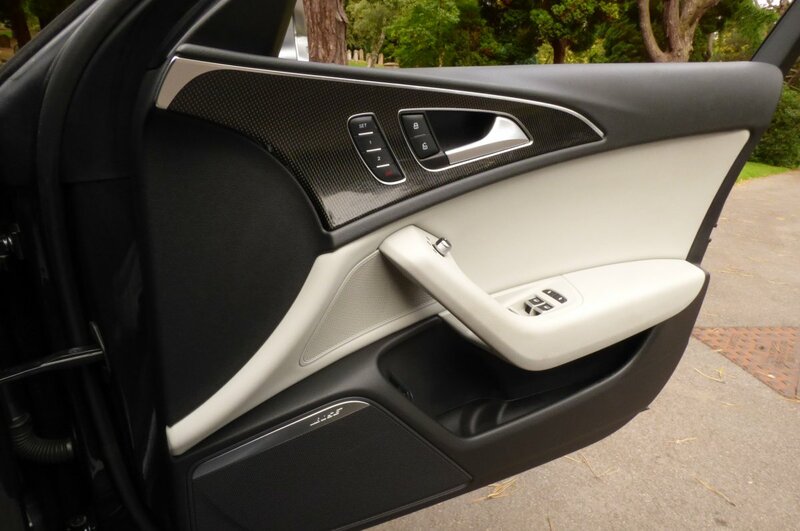 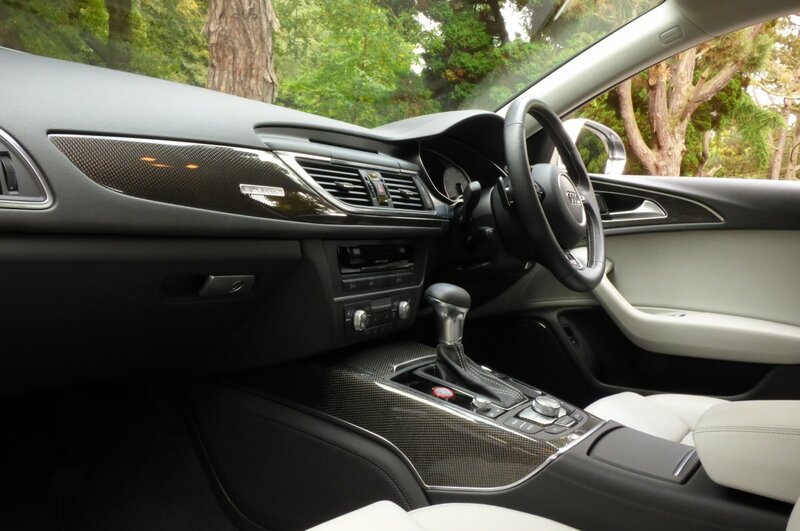 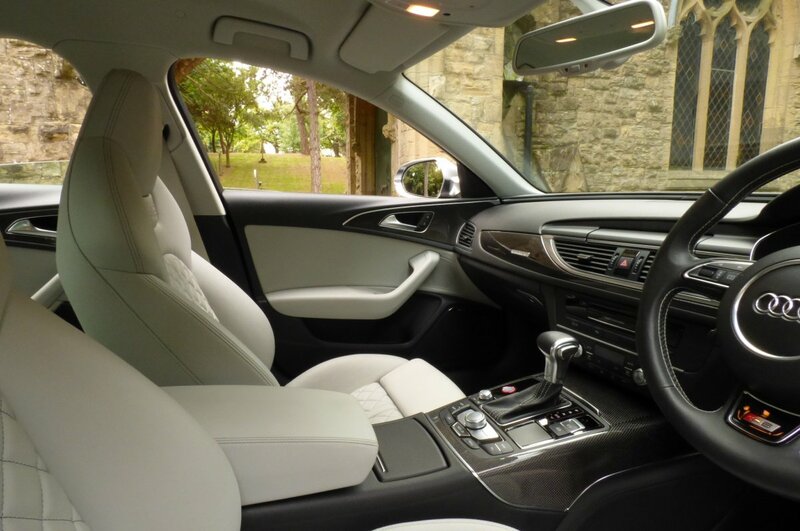 The Audi S6 Interior Offers An Impressive Finish And Is A Truly Delightful Place To Spend Long Periods Of Time In, Thanks To Its Outstanding Ergonomics, Highly Supportive Seating And Excellent Levels Of Fitment From Factory. 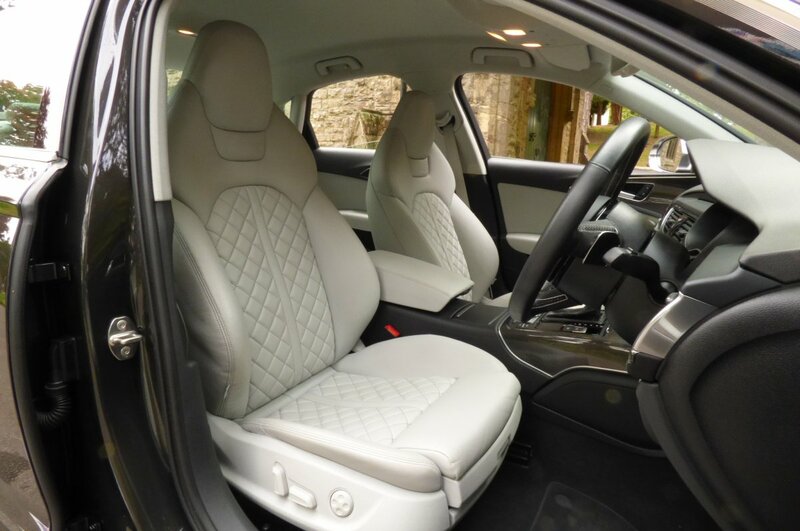 From Build This Example Was Opted With The S6 Embossed Silk Super Sport Valcona Leather Seating Beautifully Complemented With A Dark Grey Stitched Quilt Effect, The Black Dash That Wraps Around This Elegant Environment, Black Carpets That Have Been Protected From New With Audi Over Mats, The Light Grey Fabric Roof Lining, The Black Three Spoke S6 Embossed Multi Function Steering Wheel With Metal Turned Paddle Shifts, The Black Drivers Centre Tunnel With Silk Leather Trimmed Drivers Arm Rest, Silver Seat Belts, Dark Grey S6 Embossed Dials, The Two Tone Black & Silk Leather Trimmed Door Cards, Aluminium Internal Door Sill Plates Decorated With The S6 Motifs And Finalised With Carbon Atlas Inlays Detailed With A Fine Chrome Band That Offer A Touch Of Sporting Flair. 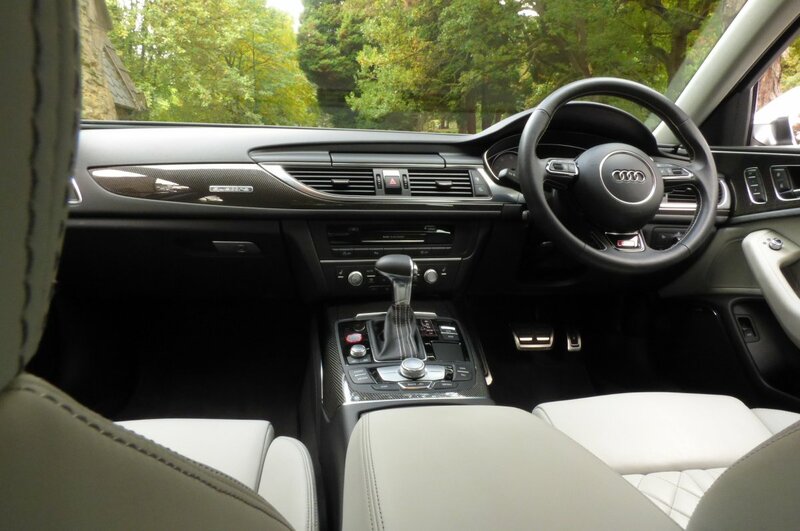 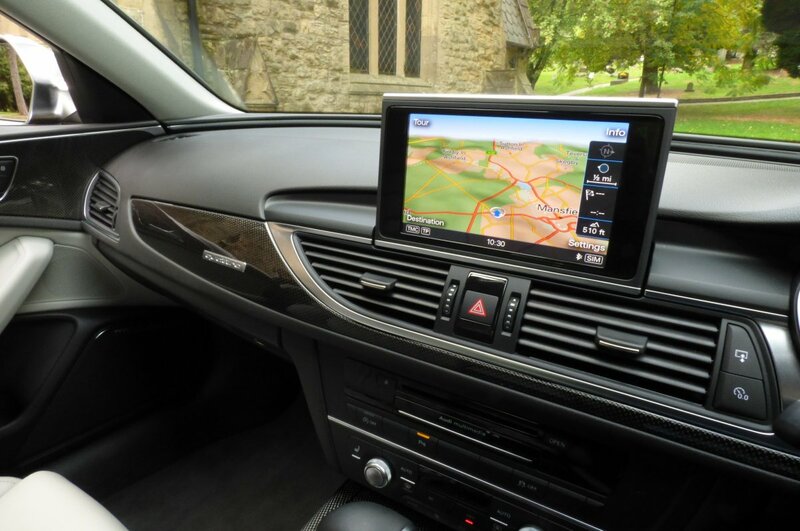 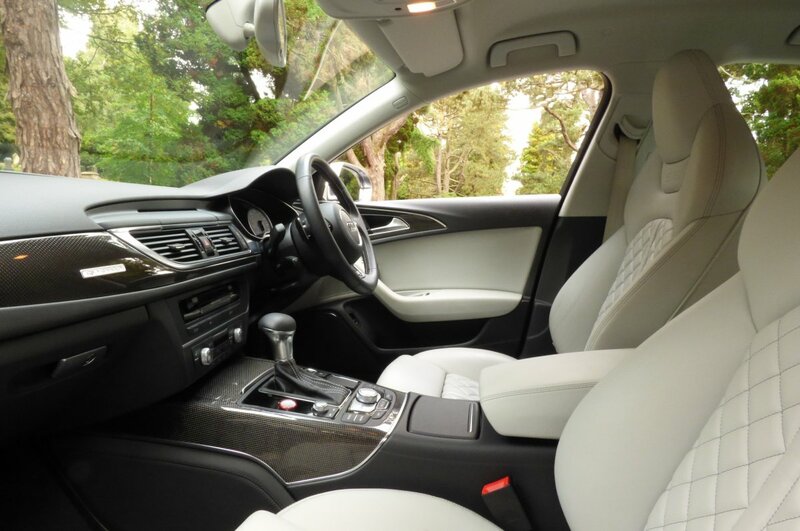 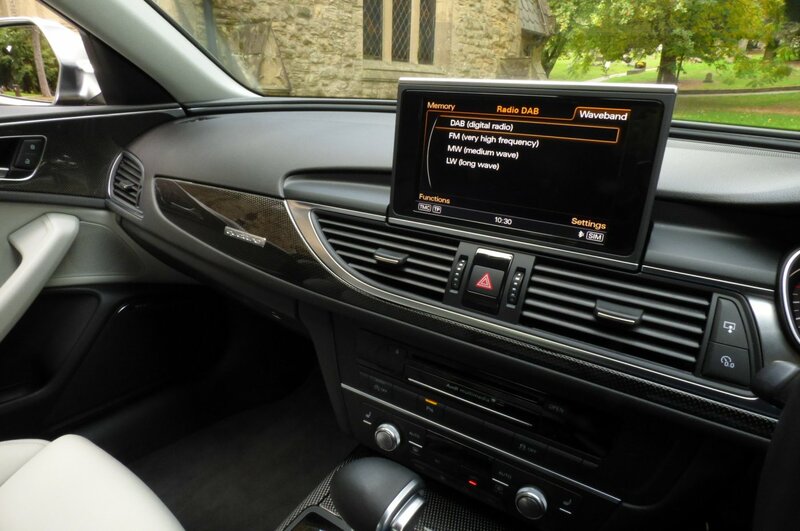 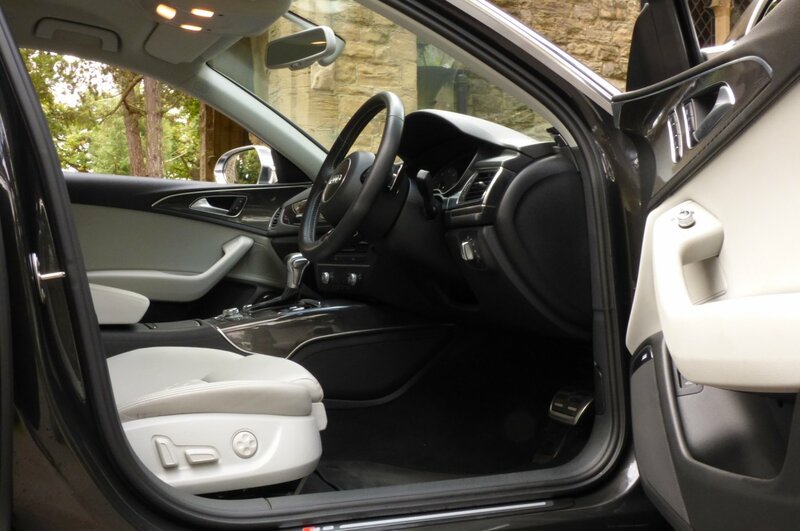 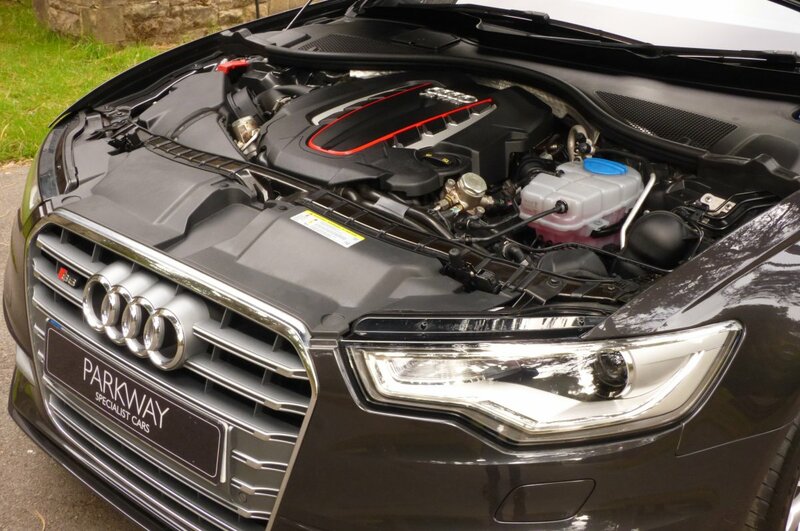 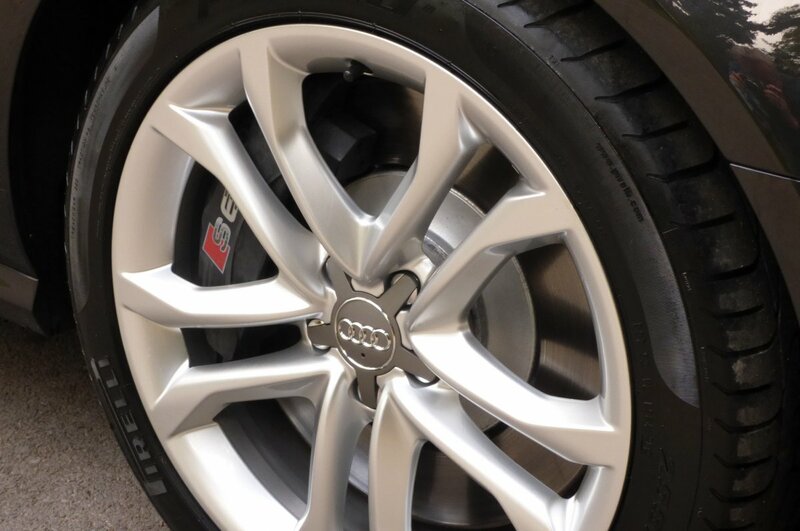 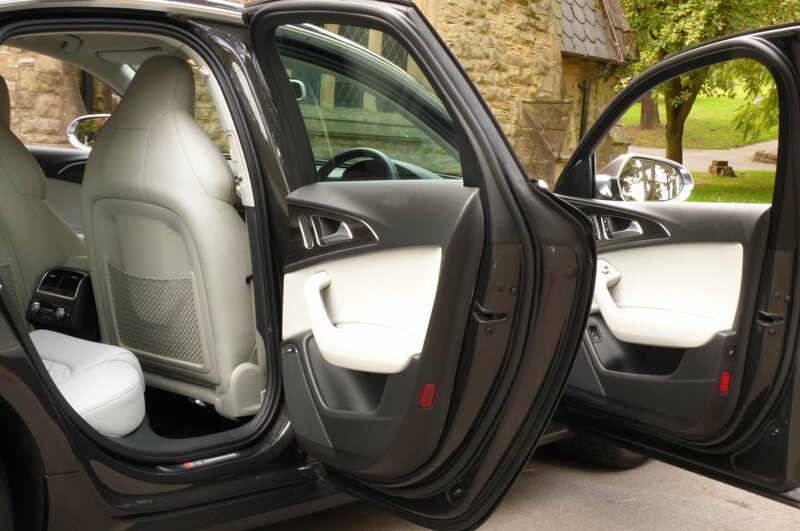 The Vehicle Also Boasts An Excellent Level Of High End Audi Technology, Meaning That Every Trip No Matter The Distance Is Completely Engaging And Highly Enjoyable, Time And Time Again. The Body Offers A Slightly Less Aggressive Form That Its Main Rivals, With This Particular Example Presented In The Oolang Grey Pearl, Which Is A Fantastic Exterior Finish In Showcasing The Elegant Audi Curves, Those Sublime Exterior Lines And Those Subtle, Yet Powerful S6 Detail. 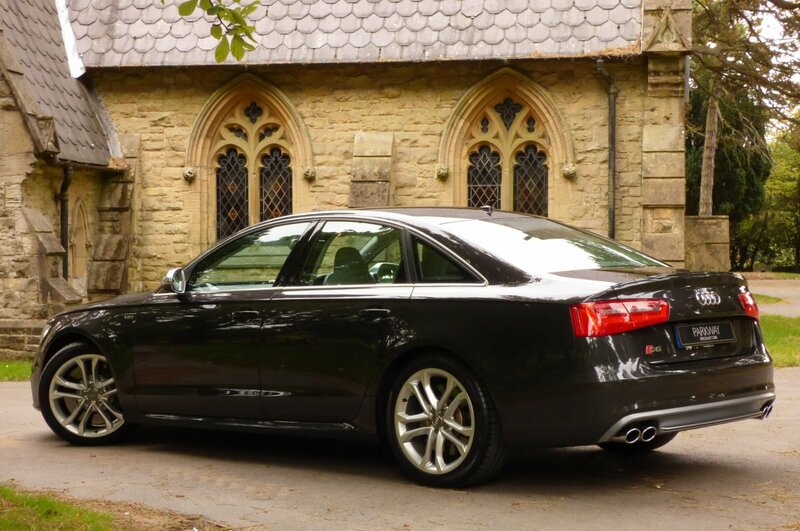 Further Exterior Features From Build Include The Unmarked Silver Finished 19" Five Parallel Spoke S6 Alloy Wheels Which Are Wrapped Around Branded Tyres, Matt Black Finished Brake Calipers Decorated With S6, Chromed Tipped Quad Exhaust System, Light Grey Lower Rear Bumper Valance, Colour Coded Boot Lip Spoiler, Chromed V8 Turbo Badges Adorned To The Front Wings, Bright Chromed Horizontal Front Grill With The Four Ringed Audi Badge That Dominates The Nose, The Colour Code Roof Mounted Shark Fin, Chromed Door Mirror Cases, Further Chromed Exterior Embellishments Around The Windows And Finalised With The Chromed Audi S6 Badge To The Rear, That Signify The Cars True Capabilities. 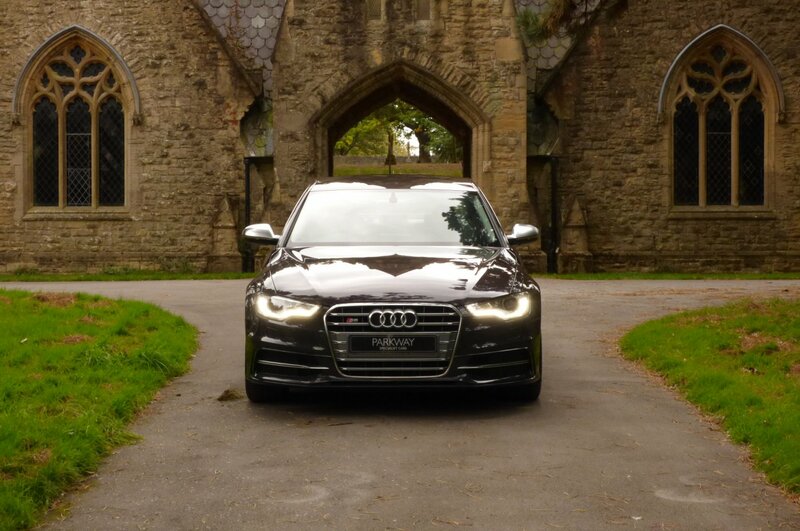 A Stunning Audi S6 With High End Factory Options To Include The Audi Advanced Technology Package With Full Colour Satellite Navigation System, Audi Drive Select, Four Way Climate Control, Unmarked Silver Finished 19" Five Parallel Alloy Wheels, Hill Hold System, Variable Heated Front Seating, DAB Digital Radio, Bluetooth Phone Preparation, Audi Sports Differential, Electric Front Seats With Driver Memory, Front And Rear Park Distance Control, Bi Xenon Headlights With Power Wash Function, Engine Start/Stop Button, Cruise Control, Electric Heated Mirrors With Chromed Cases, Bose Speaker Sound Package, Split Folding Rear Seats, Daytime Running Lights, Audi Steel Pedal Set, Rain & Light Packs, Key-Less Start, Adaptive Air Suspension, Remote Central Locking With Alarm, Colour Coded Rear Boot Lip Spoiler, Chromed Quad Exhaust Pipes And So Much More.  Presented Correctly With The Entire Booklet Pack Set, A Fully Cleared Hpi Report And All The Keys. 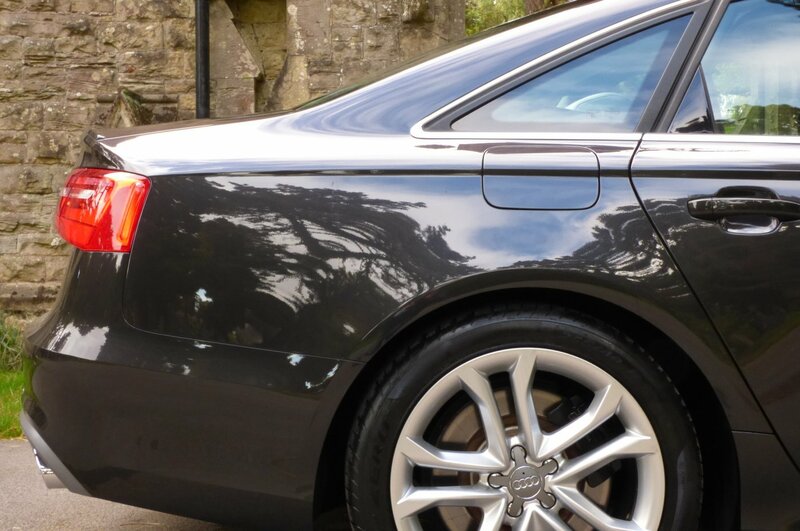 Please send your enquiry to us below, we will reply to you within 24 hours. 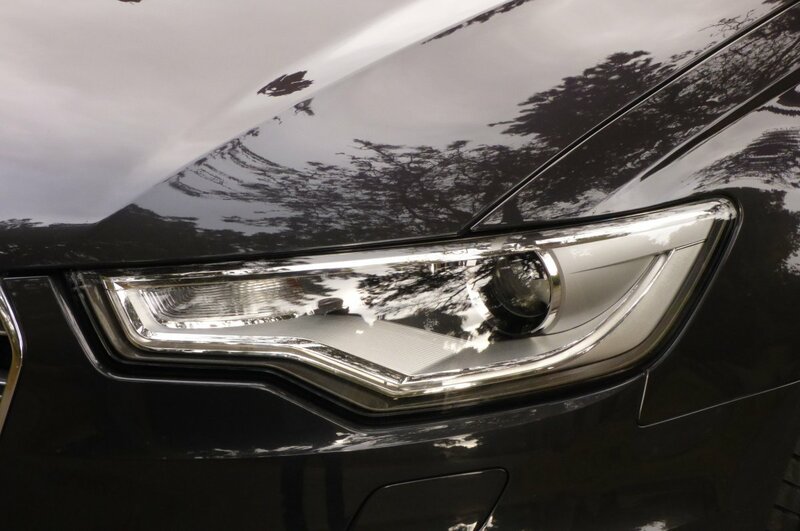 Please send your registration below, we will reply to you within 24 hours. 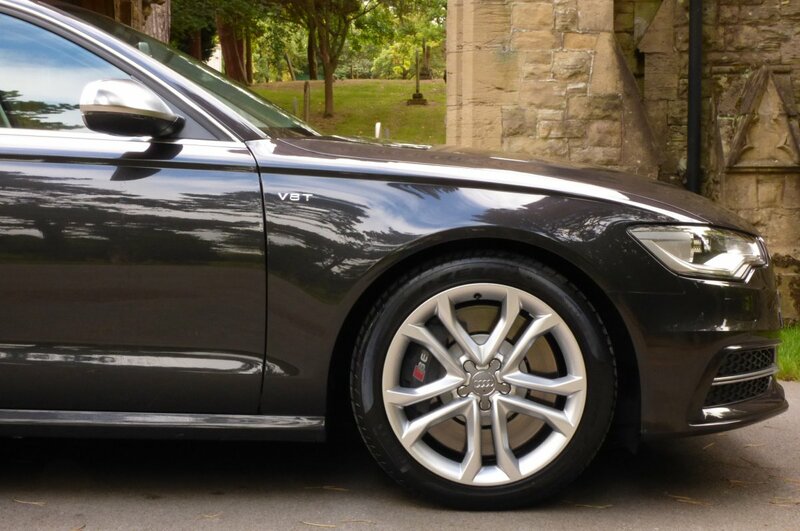 exceptional and diverse motor cars, chosen for their pedigree in ownership, service history and specification level.